The draft copy of the Right to Information (RTI) Act – 2015 in English language (supposed to be ready in Sinhala and Tamil by 20 Feb) made rounds in private circles over a week ago. These comments and observations are made on that English draft and need serious attention from public interest groups and other concerned citizens, to achieve the objectives of a good RTI Act. Expecting positive response from such concerned citizens and groups and also expecting engagement from responsible policy making authorities too, let’s start from a very common conceptual flaw the draft is saddled with. Most State and professional entities often fail to accept this country has a three tiered governing system since adopting the 13 Amendment in late 1987. That all, beginning with the President through PM, cabinet of ministers and parliament as the first tier in governance, Provincial Governors, Chief Ministers, provincial ministers and Provincial Councillors as the second tier down to the last Pradeshiya Sabha in the third tier are equally responsible to the citizens. They should be held accountable in all what they do in offices they hold, along with all officers working with and under them. This is not so drafted into the RTI draft Act – 2015 that is now in limited circulation. The draft is very much about the Colombo based central government. This limitation is quite obvious, as detailed under sub title “Duties of Ministers and Authorities” with sections 07, 08 and 09 addressing issues and responsibilities of the President, Ministers, their ministries and public authorities (under them) only. Nowhere are the words “Provincial Councils” and “Local Government bodies” mentioned in the whole draft, except where disqualifications on appointments to the Commission are stated. Yet these elected and representative bodies function and remain more close to everyday life of the citizen, utilise public funds, collect taxes on their own and therefore has to be brought under the RTI Act for transparency and accountability in governance. The other most important issue is how the proposed RTI Commission is constituted. It is right and important that the Commission is proposed to be constituted like other independent Commissions under the proposed 19 Amendment. What have to be amended are the 02 ex-officio representations from the ministry of media. The representation from the SLPI is more than enough for media, as RTI is not about media freedom or freedom of expression, though the right to use information obtained under the Act should have no restrictions in using such publicly. I would instead propose worker representation from an independent (not affiliated to a political party) trade union, as there is mention of professionals in constituting the Commission. Next important factor that should get attention when discussing the RTI draft is the annoying and decaying rustic political culture that is never changed to the better, despite promises given at elections. All new appointments made under this new government to very responsible public positions, prove this beyond doubt. They may not be all Cabraals or Gamini Senaraths with heavy baggage requiring investigations, right now. Yet most are not on clean sheets either. So are all ministers, Cabinet and State. They are all members in a parliament that never was worth the taxpayers’ money. Parliament today is one that is open for any horse deal. In fact the 2/3rds majority this new government is banking upon is worked out in holding a large number of MPs to a 05 year period that qualifies them for the pension. This was used as a threat when 114 SLFP members of parliament signed the No Confidence Motion against minister Amaratunga. Obviously, this change of political culture is pure rhetoric. Yet what is popularly said is, “we are not Rajapaksas” and this government is for the “promised change”. The facade is the hyped publicity given to numerous mega deals that had gone through, during the previous Rajapaksa regime. Proving allegations seem a far cry, though. This is where and how we live, believing we have achieved “change”. It is in such a rancid political culture, this RTI draft Act has to be positioned and its legal provisions discussed. 47. (1) No one may be subject to any legal, administrative or employment-related sanction, regardless of any breach of a legal or employment obligation, for releasing information on wrongdoing, or that which would disclose a serious threat to health, safety or the environment, as long as they acted in good faith and in the reasonable belief that the information was substantially true and disclosed evidence of wrongdoing or a serious threat to health, safety or the environment. (2) For purposes of sub-section (1), wrongdoing includes the commission of a criminal offence, failure to comply with a legal obligation, a miscarriage of justice, corruption or dishonesty, or serious maladministration regarding a public body. As very rightly noted by Jayaweera in his communication, even copyrighted information can be credited and quoted in publications and cannot be prevented. Yet another serious concern as per this draft is its total denial in providing information related to the economy. Economy cannot and should not be treated the way, “national security and defence” are treated in a RTI Act. One can agree on annual government budgets, tender and bidding contracts being given cover for stipulated periods when in the process of making such. But that is not what this draft RTI copy says or intends saying. Economy in Sri Lanka is a major battle ground where till now only the tip of Piduruthalagala is seen from far and access to the mountain of mega corruption is a huge maze of deceiving roads. This closeting of restricted subject areas is too dangerous and is not wanted in any society, if the social pledge is for democracy, transparency and accountability. 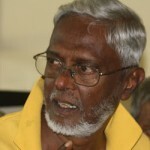 In such democratic context, there is no plausible answer to the question, “what is transparency and accountability in governance?” How could social debates and discussions on taxation, or stability, control and adjustment of prices of goods and services, rents and other costs and rates of wages, salaries and other incomes cause serious prejudice to the economy of Sri Lanka ? Such discussion is necessary before the government finally decides on any such issue. No government should be allowed the freedom to decide economic policy and planning in secrecy. In such secretive societies if the decision is not accepted by people, then it is perhaps about protesting, agitating and demanding revision. This section thus requires serious change to allow information flow and the right to all such information when requested. On that same note when information is sought, it is beyond comprehension of any democratic mind, how numerical ceilings can be laid on development projects [9(1)(a) and (b)], based on dollars and rupees. That is wholly unnecessary and should be removed. Another important inclusion should refer to the Police Department that should not be bracketed within defence and national security. Police stations have umpteen numbers of complaints that go unheeded very regularly. The delays or inaction never gets an answer in our society. This needs special attention in this draft, when the final copy is made. Beyond all that, the most important clause that should be in, but has been left out is one that decides refusal in accepting requests and delays in providing information. What happens when an officer designated to provide information refuses to accept a request or does not stick to the time frames given? Sri Lankan State offices are quite famous for turning off public and delays in attending to responsibilities. Often they are long delays. Therefore, unless adequate provision is built in to restrain such, the RTI will not serve the purpose it is legislated for. This draft Act could therefore copy necessary sanctions from the Indian RTI Act on refusals and delays. RTI in Sri Lanka, unlike in India where it reached even Panchayats, is not one that is discoursed in society. Hence there is a necessity to have an extensive social discourse on RTI with a “RTI – User’s Handbook” made available, while it is made law.